New year, new theme. Last year, I delved into the fascinating life of Spencer Penrose and his philanthropic ventures that benefited the city of Colorado Springs. Now, I'm shifting gears and traveling 2000 miles to the east to a little island called Chincoteague, just off the Eastern Shore of Virginia and to the east of the Delmarva Peninsula. 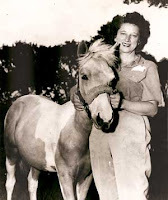 I don't know about you, but growing up on the Delmarva Peninsula (made up of the entire state of Delaware, and parts of Maryland and Virginia) meant the 1947 book, Misty of Chincoteague, by Marguerite Henry was famous in those parts. Everyone I knew had heard of or read this book, and the majority of them had actually been to the island itself. For me, there's an even more personal connection, as my grandfather (mom's dad) grew up on the island. His father owned a barbershop there where he first learned to cut hair. In 1961, Marguerite's book was made into a movie, and the barber shop was featured in one scene. 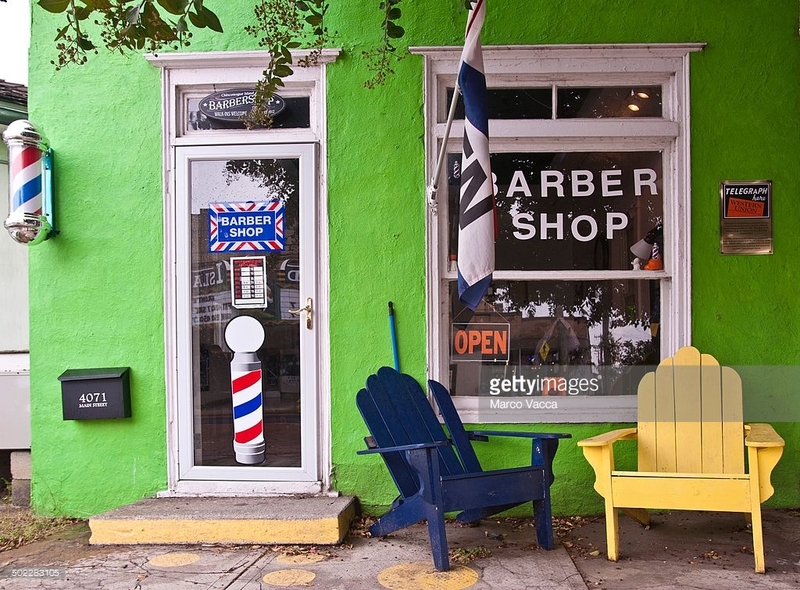 That shop was sold just prior to WWII when my grandfather's family moved to Washington, D.C. and a Father & Son barbershop was opened n Pennsylvania Avenue. In the early 1950's, my great-grandfather retired and returned to his beloved Chincoteague where he died in 1956. When my grandfather left D.C. to also return to Chincoteague in 1978, he took over ownership of a barbershop and continued cutting hair until he passed away in 1982. I grew up hearing the stories of Misty and the BeeBee family on which Ms. Henry based her book. It wasn't until I was in my late teens when I realized there are several streets on Chincoteague island named after members of my family. There's no doubt in my mind that this connection is the primary reason for my love of horses as a little girl and even to this day. So many evenings were spent reading about Misty, drawing pictures of horses, and dreaming one day of owning a horse of my own. We had a family reunion one year on Chincoteague, and it took place right around the time of the annual Pony Penning Day. This is a time when the ponies (who actually live and roam wild on the neighboring Assateague Island) are rounded up by the island's fire department volunteers and driven across the shallow channel between the islands. This event has been taking place since 1925, and the men who do the roundup are called "saltwater cowboys" as they often have to get into the water with the ponies to keep them swimming toward Chincoteague or help the yearling foals swim. Ms. Henry highlighted this event in her book, which went on to receive the coveted Newbery Award Medal for children's literature. As a child, I never really questioned much about the horses depicted in photographs, and their size never made a difference to me until I saw them up close and in person this one year during Pony Penning Day. They weren't much taller than I was, and their bodies appeared to be rather plump. I learned this is because of their diet consisting mostly of the grass from the saltwater marshes surrounding Assateague. The salt actually stunts their growth and causes their bellies to be slightly bloated. There have even been times when these ponies have been connected to the Shetland Ponies, located on the Shetland Isles to the northeast of Scotland, but there is no tie between these two breeds. For years, I was so enamored by Marguerite Henry and her stories. 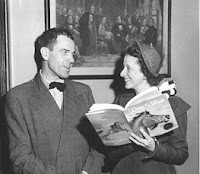 I've read every single one of her books about horses, and even one about a donkey named Brighty in the Grand Canyon. Once I began writing my own historical fiction, it never dawned on me to use Chincoteague as a setting in any of my books. * Have you ever read Misty of Chincoteague? Had you even heard of this book before reading this post? * What is your favorite memory from childhood, and has that memory inspired anything you do or love to this day? * Do you have any historical connections like this that beg to have their story told? What are they? Leave answers to these questions or any comments on the post below. 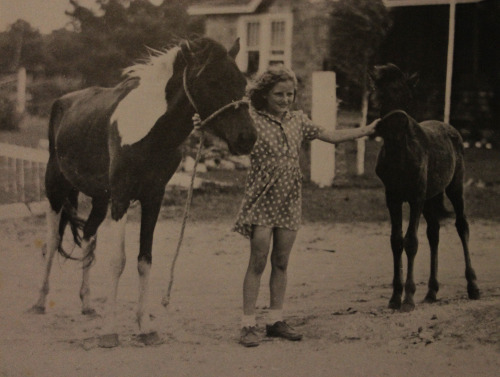 Next month, I'll delve more into the history of Chincoteague Island. Tiffany Amber Stockton has been crafting and embellishing stories since childhood, when she was accused of having a very active imagination and cited with talking entirely too much. Today, she has honed those childhood skills to become an award-winning author and speaker who has partnered with Nerium International in the anti-aging and personal development industry, helping others become their best from the inside out. She lives with her husband and fellow author, Stuart Vaughn Stockton, in Colorado. They have one girl and one boy, a Retriever mix named Roxie, an Australian cattle dog named Timber, and two Betta fish. 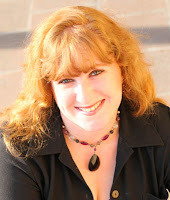 She has sold twenty (20) books so far and is represented by Tamela Hancock Murray of the Steve Laube Agency. You can also find her on Facebook, Twitter, Pinterest, and LinkedIn. Tiffany, I love that you're going to write this book/series. I, too, am working on a Mitford -type series in which one of my ancestors is a main character. Not sure how much this series will resemble the Mitford series by Jan Karon, but it will definitely possess the "small town" charm. :) Looking forward to delving into my family history in greater detail. Misty of Chincoteague was one of my favorite childhood books! I had to read anything horses.. I can certainly relate. Anything horses were my first choice in books and movies. I've never personally owned a horse, but I've been riding several times and have known friends with horses. Always a plus! I was a big horse lover when I was young, and read every horse book I could find. Misty of Chincoteaque was one of my favorites. I even watched the movie several times. That's so cool that you have relatives connected to the island. Your new series sounds like a fun one for you. Never heard of the book till now. THanks for posting. Kim, you should check it out from the library or purchase it somewhere. It's a great story! I loved reading Misty of Chincoteague as a child! I've always loved horses. This was a fascinating article! That's my hope, Caryl. To connect with readers and their childhood memories as well as bridge the gaps of the generations to open up Chincoteague to a whole other audience. Make your plans, Betti. I'm sure you'll get there. It's definitely an experience you'll never forget. My sister emailed me this morning to ask if I'd read the blog for today. She loved these books and loved your blog today. Marguerite Henry's stories were wonderful for me too. I loved horses. Thanks so much for sharing.